How Should We Talk To Our Children About Terrorism? One by one their questions were answered honestly and we reassured them that we were safe and that there are more good people in the world than bad. But when they went to bed I couldn't help but be angry, my kids had just lost a slither of their childhood innocence. This week's terror attack in Brussels has been felt all over the world. So many of us watched the coverage, numb and in disbelief that this was happening all over again. The haunting image of the flight attendant with her clothes ripped apart from the blast starring into the camera lens is something that will stay with me for the rest of my life. As adults we struggle to process the inhumane terror inflicted on so many innocent people going along with their day, so how can we expect our children to? The attack in Brussels was particularly shocking for my children because their father lives on the Dutch/Belgian border. Having lived and gone to school in Belgium, I knew that they would be frightened and as confused as the rest of world as to why this was happening in such a beautiful country that was once their home. As they watched the news reports I could see the terror in their eyes; the terrorist had succeeded in their mission of instilling fear in the lives of people all over the world, even children. How do we explain to our children an act of violence that is without explanation and how do we ensure that they feel safe? Françoise Dolto was a French pediatrician and psychoanalyst who believed that when having to explain difficult life events with children, that we should always be honest. Children don't need to be constantly happy; they need to understand what's going on around them. Even in tough times, parents should tell them the truth -- often in simple terms -- and help them process it. It's far worse if a child senses that something's wrong, but no one talks to them about it. Seeing how upset my daughters were, I suggested that they give their Dad a call, so that they could hear his calm voice and that he could reassure them that he was safe and well. He and I had communicated earlier and both got on the same page as to how we would handle it. The girls asked him a host of questions. "Why do they want to kill us?" "When is it going to end?" The effects of terrorism are far-reaching. Images by the media of blood stained faces and carnage are enough to remain imprinted on a child's psyche forever. A new report reveals that children exposed to terrorist attacks display an elevated level of mental health problems, including post-traumatic stress disorder, separation anxiety disorder, and general anxiety disorder. Whilst we know that, statistically speaking, it is unlikely that they will ever experience direct exposure to a terrorist attack, they are still exposed to a substantial amount of attack-related media coverage. 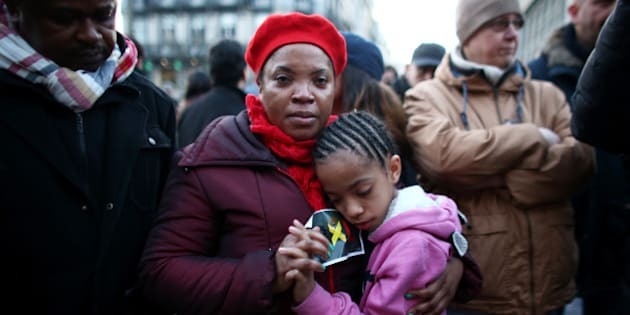 Within this present climate of heightened awareness about terrorism, many children are exposed to "second-hand terrorism," in which media disproportionately focus on the possibility of being a direct victim of future terrorism. This sets the stage for insecurity, countless false alarms and persistent anxiety. Technology advancements and globalization go hand in hand creating global interaction; our world is becoming smaller. We can no longer sit back in our safe haven of Australia and watch these events as spectators. We are part of the society that is under attack and our children must also be educated about the world in which they are living. Open and honest discussion is needed at home and in schools so that they are not imprisoned by fear and the terrorists do not fulfill their quest to have us live in fear.